Garage door springs are one of the most overlooked part of every garage door system. If you are one of those ignorant homeowners, you would hardly know that it's there. When in fact the garage door springs are really important not only for the smooth operation of the door, but also for the safety and security of your family and belongings. This single part is responsible for the opening and closing of your door. Thus, it is vital to maintain the pristine condition of the springs. Since, the springs are tightly wound and are under a lot of tension, it is advised to contact a professional for the replacement of your door springs. At Brampton Garage Doors, our technicians are trained to handle both torsion and extension garage door springs. It is advised to never try to replace the door springs on your own as it can be extremely dangerous for you. Our technicians have the right knowledge and equipments to complete the spring replacement and installation task with precision. We adhere to the highest standards of safety so you can rest easy you are in safe and professional hands. Torsion Springs are the standard springs that are most commonly found above the closed garage door on the torsion shaft. These springs work under a lot of pressure and can cause serious injuries if addressed by an amateur. Special precautions and know-how are required to replace these springs safely and efficiently. Extension Springs are generally found above the horizontal tracks on either sides of the garage. They are responsible to counterbalance springs which render power to the door by stretching. They are designed to support the heavyweight of the door. Our technicians recommend to contact us immediately if you find these springs broken or damaged. Spring replacement or installation job must be left to the professionals. In order to save a few bucks, you may try to remove or install the springs on your own, but it can extremely dangerous or even fatal. Our technicians replace the springs utilizing professional grade equipments and techniques. We also make sure that your property and belongings are safe during the entire process. When it comes to spring replacement or installation, you should always trust a reliable and popular service just like us. We are available 24 hours a day and seven days a week, so feel free to contact us anytime. 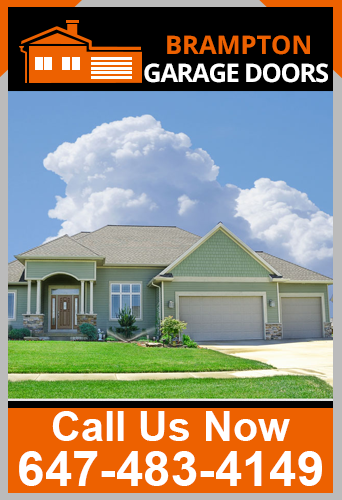 When we are here, you don't have to worry about your garage door springs at all. 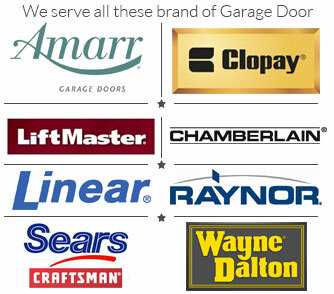 Contact Brampton Garage Doors For Garage Door Spring Replacement & Installation Service in Brampton.